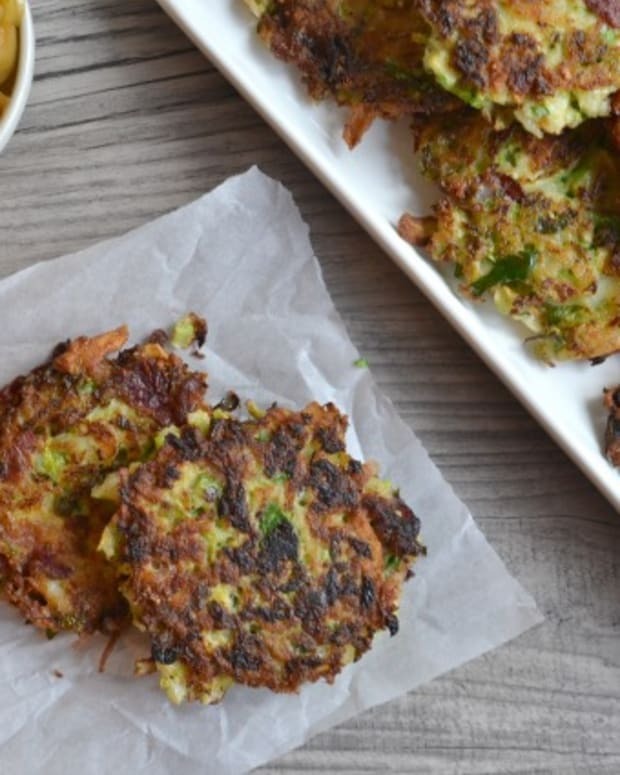 A Rosti is a Swiss dish of grated potatoes formed into a flat cake and fried....sound familiar?!? 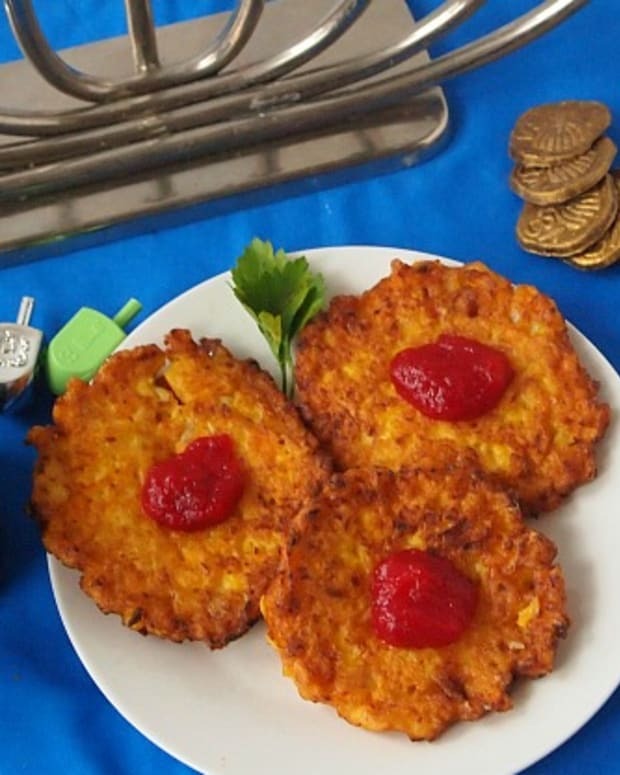 It&apos;s basically just an oversized latke pancake. 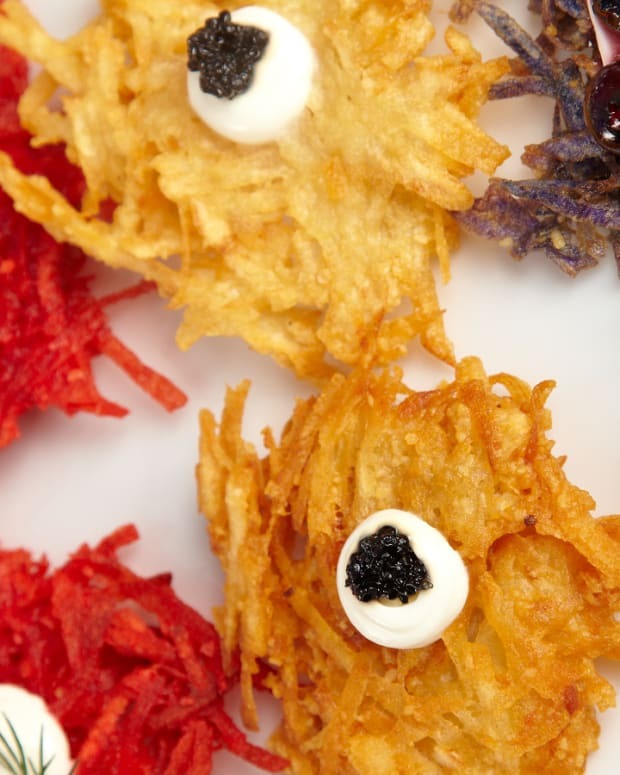 This smoked turkey latke was inspired by a traditional rosti for a Chanukah/Thanksgiving combo that is out of this world. 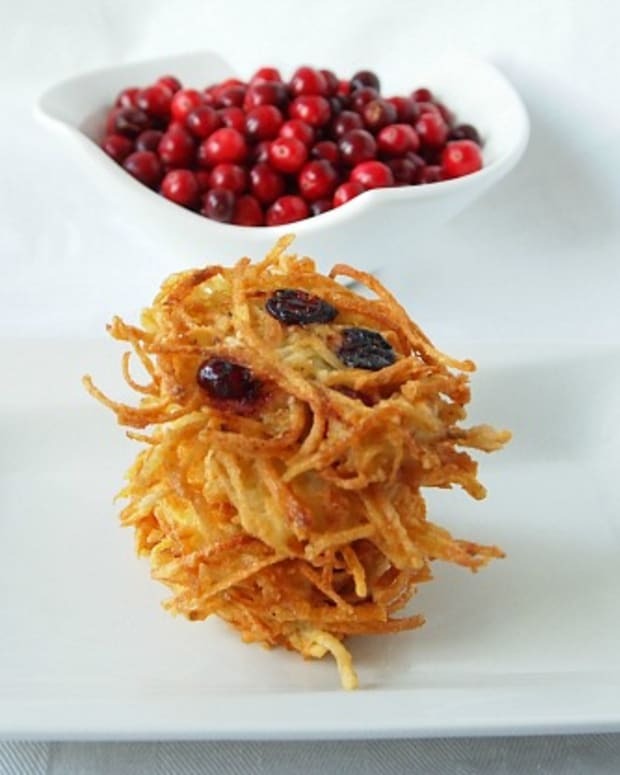 You can even make these as smaller latkes by adding 3 eggs and 1/3 cup potato starch or all-purpose flour to bring the potatoes, onions and turkey together. 1. 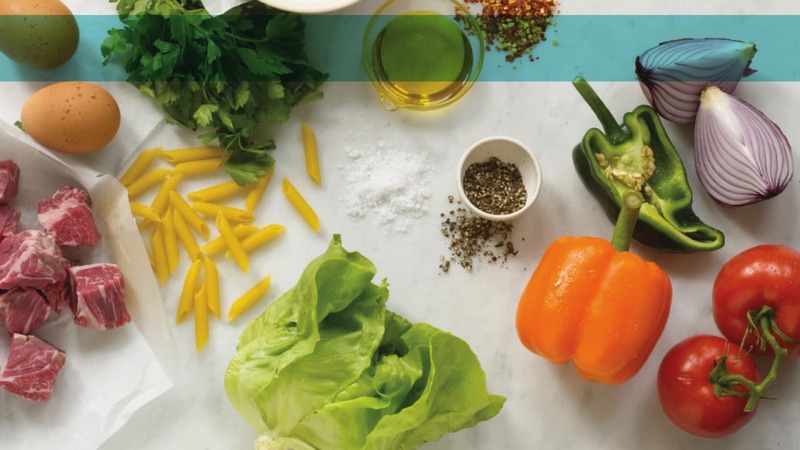 Heat 1 tablespoon of olive oil in a heavy-bottom 8 or 9-inch pan over medium-high heat and add 1 cup chopped turkey. Cook the turkey for 2-3 minutes to brown then remove the pan from the heat and reserve the turkey in a bowl. 2. 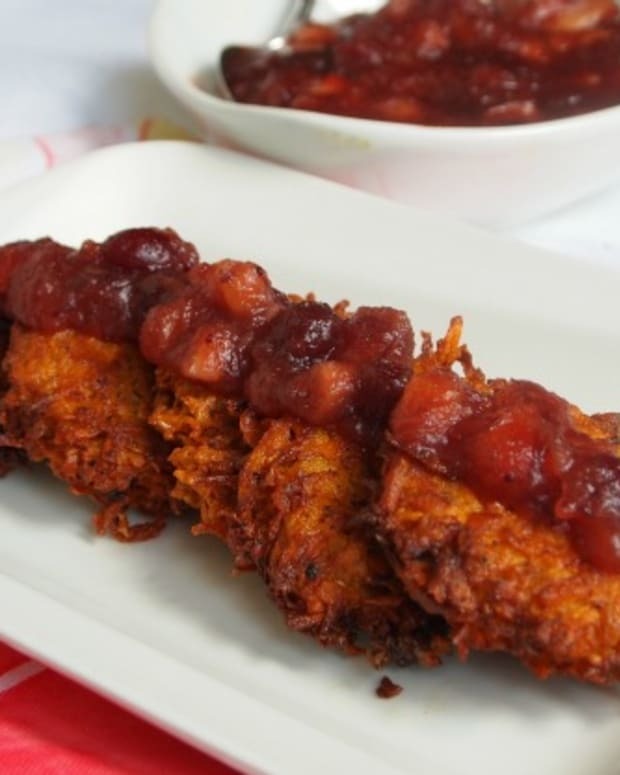 Combine the shredded potatoes and onions in a mesh cloth or metal sieve and squeeze until all liquid is removed. 3. Add the cooked turkey, salt and pepper to the potato and onion mixture and stir to combine. 4. Heat the same pan that you used to cook the turkey over medium-high heat with 3 tablespoons olive oil. Make sure the entire pan is coated. When the oil is hot (you can test the heat by adding a bit of potato and listen for a sizzle), carefully add the potato mixture to the heavy-bottom pan and pat down the top with a spatula. 5. Cook the potato mixture for 2 minutes over medium-high heat then lower the heat to medium-low and cook for 12-15 minutes. You should still hear the sizzle while the potato mixture cooks. 6. 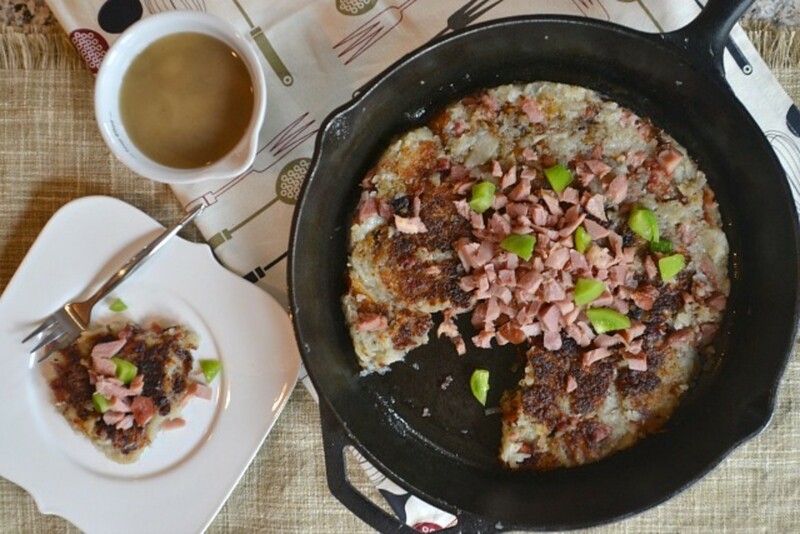 When the potato mixture begins to set and the bottom is browning, carefully flip the potato pancake on to a plate or platter. Place a plate the size of the pan over the top then flip the pan upside down. There might be some oil that drips out so flip the pan over the sink if possible. 7. 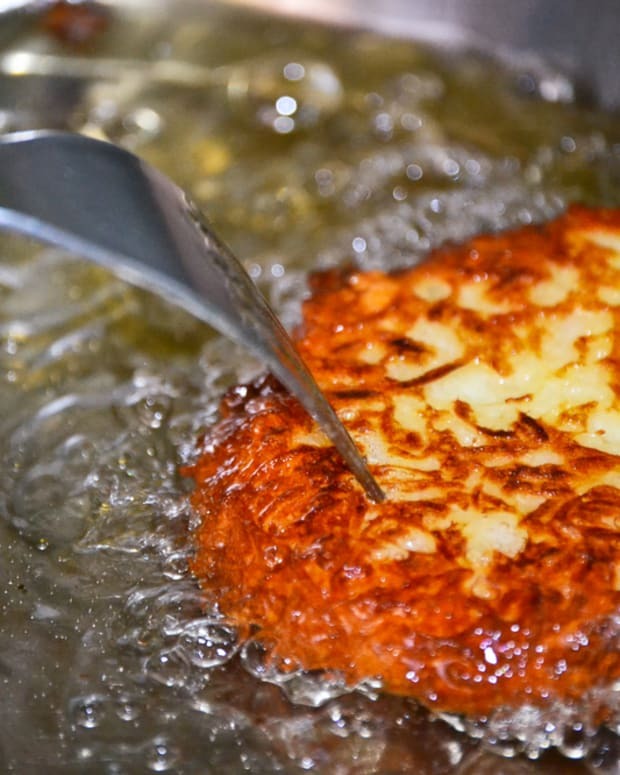 Heat the remaining 2 tablespoons of oil in the pan and carefully slide the potato pancake back in over medium-low heat. Cook for another 10-12 minutes. 8. Remove the pan from the heat, set it aside to cool down for 10 minutes then top with the remaining chopped smoked turkey and slice to serve.